Ring News 24Boxing News Breaking Boxing News Fight ResultsAJ’s toughest test yet – What did we learn? Fresh from the aftermath of a rainy Saturday evening in London we have learnt a few things; firstly that AJ is the real deal. There is no denying he got rocked at the end of the first and possibly the bell came at the right time for him to regroup and compose. However to stalk a man of Povetkin’s standard down with the jab to the body before the eventual stoppage shows he is certainly no hype job. Secondly, the Wilder fight (If he overcomes Fury) is even more dangerous that we first thought. 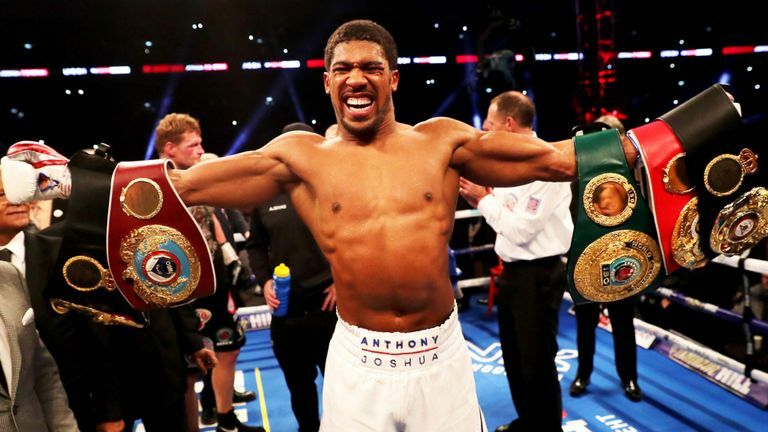 Anyone in the heavyweight division can hit, AJ can be hit and is not the greatest moving target that was shown on Saturday night. With Wilder’s erratic style he could easily land on AJ’s chin and cause serious problems. If that eventual fight does get made, it’s a real pick em. Wilder on the one hand has that knockout power and stiff jab we seen in the most recent Stiverne fight, where Josh is the more all-round boxer and polished athlete. There is a lot of issues as to when and if that fight ever gets made, the biggest being a certain Tyson Fury who on December 1st holds the key to this heavyweight triple threat. Luke Campbell’s first fight under the guidance of Shane Mcguigan went perfectly well. Great game plan executed well and will only improve. Really not sure why Mendy was protesting so much at the end, I had it very comfortable in Luke’s favour as he moves on now to the WBC belt challenge. This certainly won’t be against Mikey Garcia as he will vacate which even though Luke would say he wants to fight him, is a blessing. Laurence Okolie should have been disqualified. This was not all on him; Matty Askin did not come to fight the best of fights either; however Okolie’s way of working was border line cheating to say the least. People say as long as you win that is what counts, that possibly is the case on small hall shows, Saturday night fight nights as such. When you are third from top of the bill at Wembley on a box office card, you need to put out a statement. Only 10 fights into his career he has made great progress on paper, his resume and titles speak for that. In the ring however, it is clear improvement is needed. However congratulations to him on the British title, he needs to stay and defend at this level for the next year in my opinion. Sergey Kuzmin impressed stocky character with a long way to go but at the age of 31 I do not see becoming a real force in the division. What can we say about David Price that hasn’t already been said? Everyone will have their own view on his decision to quit on the stool at the end of the fourth; however one thing everyone will agree on is he is an exciting fighter who we would all watch again. Overall, well done AJ. Fantastic yet again and overcomes in my opinion his biggest test yet. With the winner on Dec 1st on a collision course for April 13th, we are in for a real heavyweight superfight.